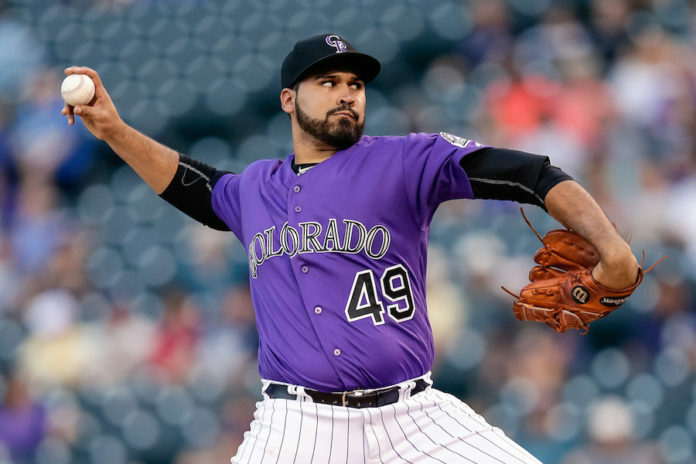 The Colorado Rockies and Bud Black on Tuesday announced several roster moves that all but solidify the 25-man Opening Day roster. Black on Tuesday ahead of the team’s final Cactus League game said that outfielder Raimel Tapia and catcher Tom Murphy were optioned to Triple-A Albuquerque. The team later officially announced those moves. That announcement effectively guarantees Mike Tauchman a spot on the Opening Day roster as Colorado’s fourth outfielder. Tauchman on Sunday was named the winner of the 15th annual Abby Greer Award, presented to the Rockies Spring Training Most Valuable Player. In 27 games through March 24 before the award was presented, Tauchman batted .345 (20-for-58) with nine runs, three doubles, four triples, one home run and five RBI. Black also said on Tuesday that infielder Ryan McMahon would be on the roster March 29 in Arizona when Colorado opens the season against the Diamondbacks. The club announced Tuesday that McMahon was named the 2017 Doug Million Minor League Player of the Year. McMahon, 23, batted a combined .355 (167-for-470) with 39 doubles, four triples, 20 home runs, 88 RBI, 41 walks and 11 stolen bases across 119 games between Double-A Hartford and Triple-A Albuquerque before making his Major League debut in August. He was named the MiLB.com Fan’s Choice Best Offensive Player in the Minor Leagues, as well as a MiLB.com Organization All-Star and a Baseball America Triple-A All-Star. During the season, the Yorba Linda, Calif., native participated in the 2017 Futures Game and was named the Double-A Eastern League Player of the Month for April and the Triple-A Pacific Coast League Player of the Month in June. 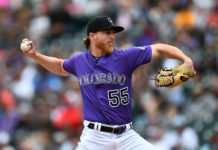 Black also announced that Jon Gray would start Opening Day in Arizona, with Tyler Anderson starting Game 2 on Friday and German Marquez starting Game 3 on Saturday. 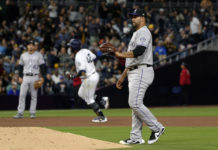 While he didn’t announce the final two spots in the rotation yet, Black pitched Chad Bettis and Kyle Freeland on dates late in Spring Training that would align for them to be the fourth and fifth starters. Right-hander Antonio Senzatela made a strong case to be included in the starting rotation with a solid spring, and it looks like he will be at least rewarded with a spot in the bullpen. The 23-year-old pitched 16.2 innings during Cactus League play in 2018, posting a 1.62 ERA and striking out 12. Senzatela won 10 games for Colorado as a rookie in 2017, earning National League Rookie of the Month honors in April. With Carlos Estevez nursing an oblique injury, it appeared that the final spot would come down to either lefty Zac Rosscup or Senzatela. Black said following Tuesday’s game that Rosscup is dealing with a throwing hand injury and will likely begin the season on the disabled list, clearing the way for Senzatela.